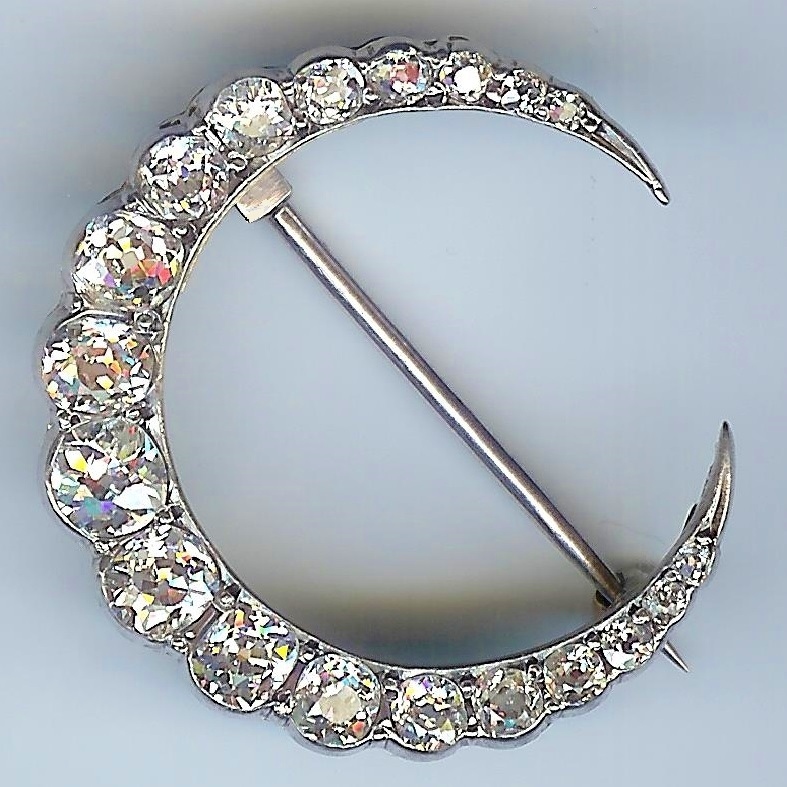 Stunning Old Diamond Crescent Brooch [SH10058] : loveVintageDiamonds.com, Your Vintage Diamond Dreams Come True! 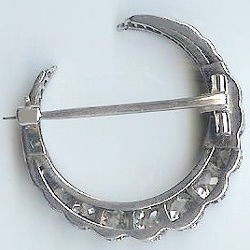 This antique crescent brooch is absolutely fabulous. There are 19 beautiful, deep, rose-cut diamonds that are full of character; the colour and clarity of the diamonds really do speak for themselves! 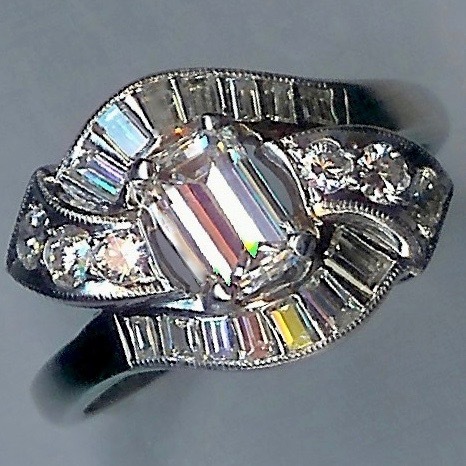 The total weight of all the diamonds is approximately 2.85cts. 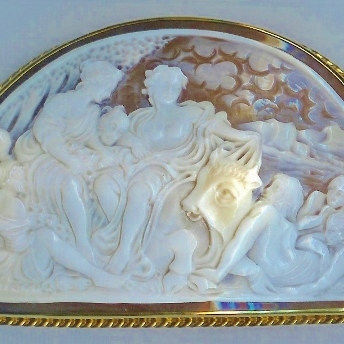 The brooch measures approximately 1'/4 x 1'/8" and weighs approximately 6.5gms. 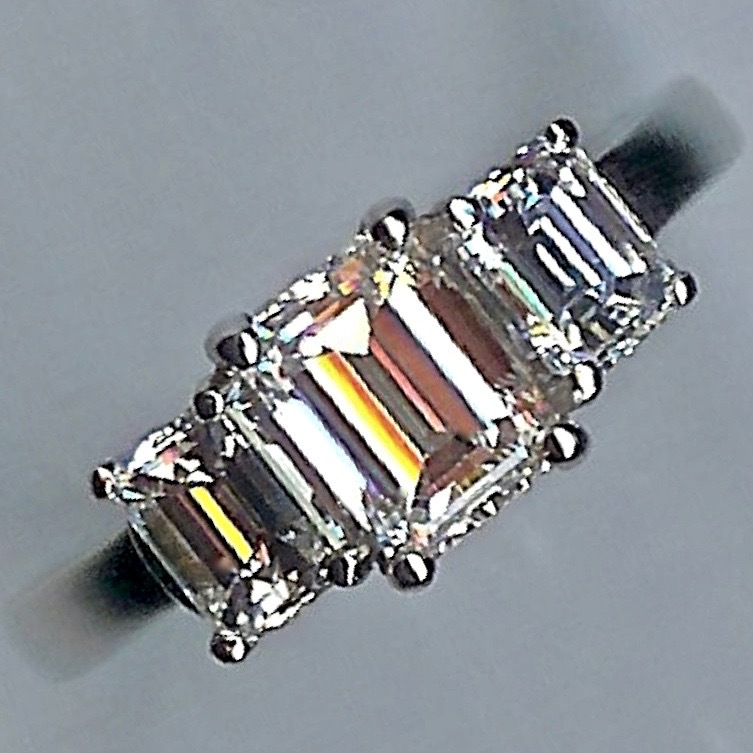 The metal is unmarked white throughout, tests as 18ct white gold.